$34.99 This may be in stock for quick delivery; please call! 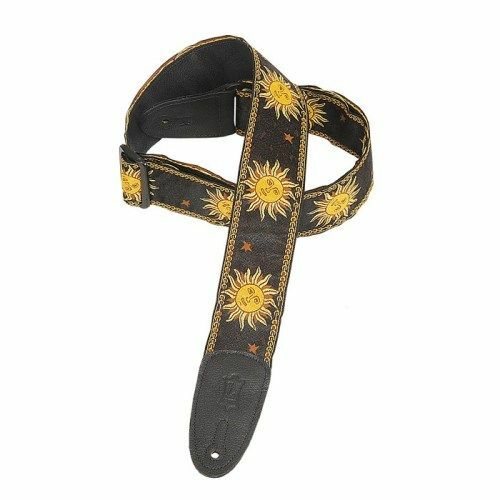 2″ sun design jacquard weave guitar strap with garment leather backing, genuine leather ends, and tri-glide adjustment. Adjustable to 57″.